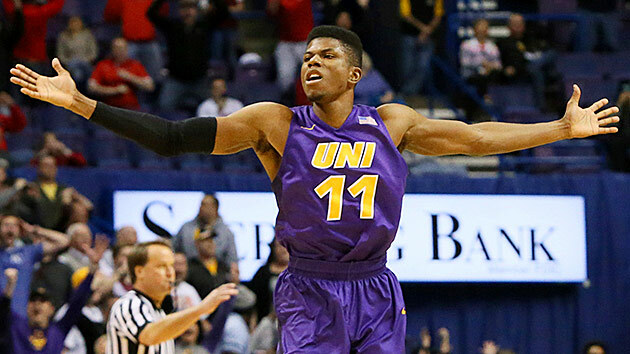 Everything you need to know about the Northern Iowa Panthers as the NCAA tournament begins. The Case For: The Panthers have demonstrated throughout the season that they’re capable of knocking off top teams. With wins over North Carolina, Iowa State and Wichita State (twice), Northern Iowa enters the tournament as one of the most esteemed mid-major teams. Add in that the Panthers have won 11 of their last 12 contests, and they could be one of the trendiest selections to advance as far as the Sweet 16. After overcoming a rough patch that saw them lose six of their first eight conference games, the Panthers look primed for a run in the tournament. Maybe the most likeable trait is their senior leadership between Washpun, Matt Bohannon and Paul Jesperson. The three combine for over 35 points per game and turned a promising season gone south into a compelling run to the NCAA tournament. In facing Texas and Shaka Smart’s trademarked “Havoc” defense in the opening round, all three guards will be pressured but will likely get an opportunity to open up the floor early in the contest. With eight players that average at least 13 minutes a game, the Panthers should have enough depth to combat any fatigue that comes from facing Smart’s defensive attack that has worn down many a prolific offensive unit. The Panthers have been a strong defensive unit all season and should match up fine with an inconsistent Texas offense. This is also the fourth time that head coach Ben Jacobson has matched up with Smart, and the Panthers should be prepared. With only one player standing above 6'9", the Panthers will need to shoot consistently and limit turnovers in order to hang with a team of Texas’s speed and size. The athleticism deficit will be significant, even if the Panthers effectively hung with North Carolina and Iowa State earlier in the season. SI Prediction: Beat No. 6 Texas in the first round, beat No. 3 Texas A&M in the second round, lose to No. 2 Oklahoma in the Sweet 16.